Miss Mani Monster! : Sneak Peak: Upcoming Pop Culture Cosmetics Swatches! Sneak Peak: Upcoming Pop Culture Cosmetics Swatches! I have some exciting stuff for you today: a lovely swatch from an existing collection over at Pop Culture Cosmetics, and 4 swatches from soon-to-be released polishes! 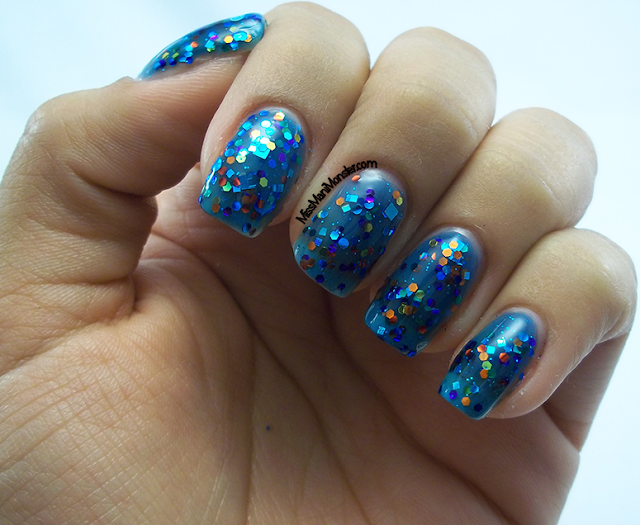 First is After the Rain Comes the Rainbow, a blue jelly with rainbow glitters! Next is the up and coming Corny Candey, a perfect Fall glitter topper with matte orange, white, and yellow glitters. I topped OPI You Don't Know Jacques with this! Next are two polishes from the upcoming Sweet Shop Collection. 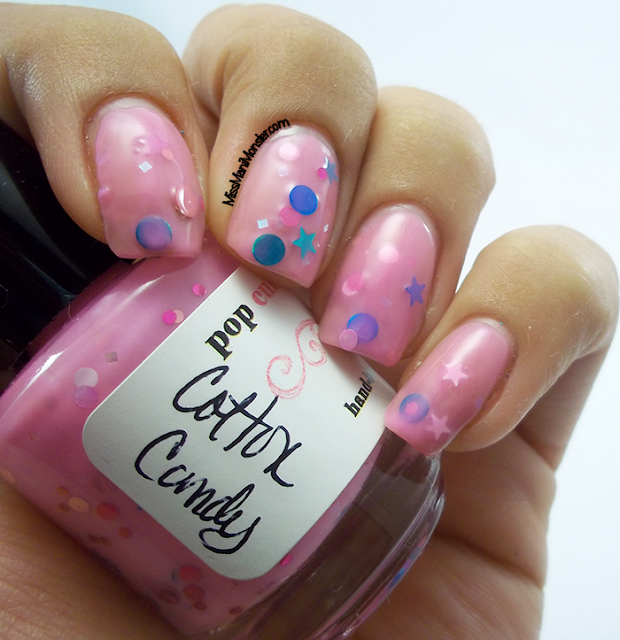 Below is Cotton Candy, a bubblegum pink crelly with various shapes and sizes of glitters! The second polish from the Candy Shop Collection is Rainbow Sherbet, a mint green crelly with multi-colored dots, hexes and stars of various sizes! Finally is a gorgeous fall polish from the Reach for the Moon collection, called New Moon. 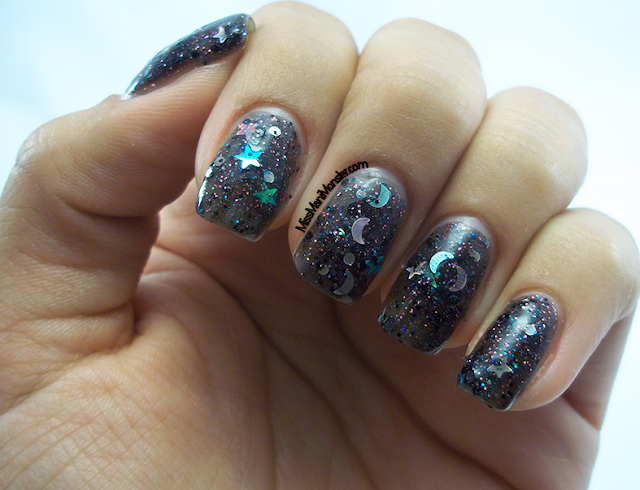 This is a deep, sultry glitter polish with stars, dots and moons and a subtle holo effect! Keep an eye out for all of these over on Popculturecosmetics.com or on Facebook, Twitter, Pinterest, or Google+!